Now that you have your new marvellous hair there are a few tips listed below on how to care and maintain your extensions. Learning how to wash, condition, brush, and style your new hair will ensure and extend the quality. We offer styling lessons, we teach you how to use the right tools and products which is an essential part of maintenance. Keep your hair safe. Suggested maintenance is every 2-3 months (1 ¼ Inch in growth). A nylon and boar bristle paddle brush will get through wet or dry hair without damaging your hair or your extensions. Section your hair in small sections so it handles easily. Hold the base of your hair and start combing your hair at the ends (make sure to hold the base to take the stress off your extensions). When brush passes through easily move to the next section….. Take your time to make sure you untangle each section completely. You MUST keep your hair clean, hair tangles when dirt and perspiration build up wash your hair after exercising, including swimming and any activities that make you perspire. Brush your hair to remove all tangles. Wash your hair in a downward motion from the scalp out. Use a shampoo that matches your hair type (ask your stylist). Wet your hair starting at the crown and let the water flow downward this will create a gradual wetting of your hair, which is very important so the hair does not swell. Swelling causes tangles. Swelling is especially common with low quality hair. After completely wetting the hair; gently rebrush your hair before adding shampoo. After you’ve added shampoo; gently rub your scalp in circular motions with the pads of your fingers- avoid aggressive rubbing as that can cause tangles. Bring the shampoo through the remainder of your hair from your scalp down through to the ends gently. 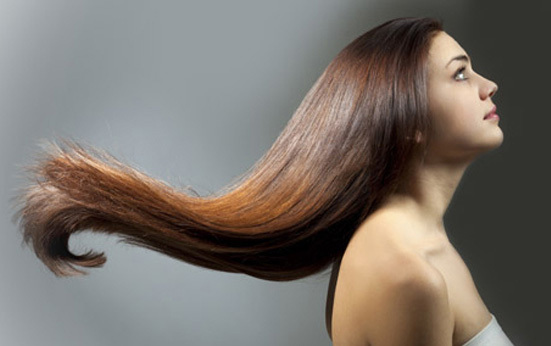 Work the shampoo through your hair in downwards movements. Rinse your hair from the scalp down to your ends until your hair is shampoo free. Gently comb through your hair. Hold the base by your extensions. Start at the ends and work your way upward. If you feel coarseness in your hair you may want to condition the ends. Important: NEVER CONDITION NEAR THE XTENSIONS RINGS. Check with your stylist to select the right conditioner for your hair. Apply the conditioner sparingly; start where you feel the coarseness begins and continue down to the ends of your hair. Comb your hair while the conditioner is still in. Rinse from the scalp down to the ends. Towel dry your hair by squeezing it the downward direction. Brush your hair; it should be completely tangle free before you begin. a) Let your hair air dry, or gently take the excess moisture out using moderate heat in a downward direction. b) Section your hair into four sections and clip 3 out of the way of the first section you’re styling. c) Start with a back section, divide it in two, brush out any tangles, and use a natural boar bristle brush and a medium heat setting. d) Continue with sections no larger than the width of your brush. Wear a swimming cap to swim… chlorine can swell the hair and cause tangling. Rinse your hair immediately after you swim. DO NOT LET YOUR HAIR DRY WITH THE CLORINE IN IT. Brush your hair before to going to sleep. Wear a loose braid to sleep. FOLLOW THE ADVICE OF YOUR STYLIST. In most cases it is not recommended to color perm or relax extensions. DON’T EVER GO TO SLEEP WITH YOUR WET HAIR. DON’T OVER CONDITION THE BASE OF YOUR EXTENTIONS. DON’T AGGRESSIVELY BRUSH OR COMB YOUR HAIR WITHOUT HOLDING YOUR HAIR BY THE BASE. DON’T USE A FLAT OR CURLING IRON ON OR NEA R THE RINGS OR BASE OF YOUR EXTENTIONS. DON’T LEAVE HOME WITHOUT A BRUSH TO KEEP IT TANGLE FREE. DON’T OVER USE HAIR SPRAY. DON’T GO A DAY WITHOUT BRUSHING THE BASE OF YOUR EXTENTIONS. DON’T USE A HARD COMB TO COMB NEAR THE BASE OF YOUR EXTENTIONS. DON’T LET YOUR HAIR STAY DIRTY AND OILY.